Championship of Performance Category, Riken Benchmark Contest 2009, March 2009, Japan. Championship of 1PC Category, Riken Benchmark Contest 2008, March 2008, Japan. 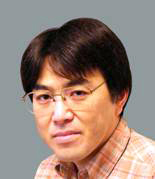 JACM (Japan Association for Computational Mechanics) Fellow Award, December 2007. Best Paper Award, 12th JSCES Conference, The Japan Society for Computational Engineering and Science, May 2007, Japan. Best Graphics Award, 20th Computational Fluid Dynamics Symposium, December 2006. Grand Prix, Visualization Contest of Division of Computational Mechanics, Japan Society of Computation Mechanics, November 2006. Best Graphics Award, 20th Computational Fluid Dynamics Symposium, December 2005. Grand Prix, Visualization Contest of Division of Computational Mechanics, Japan Society of Computation Mechanics, November 2005. Best Graphics Award, 20th Computational Fluid Dynamics Symposium, December 2004. Computational Mechanics Achievement Award, Division of Computational Mechanics, Japan Society of Computation Mechanics, November 2003. [Keynote Talk] Large-scale physics-based simulations and scientific visualizations, Visualisation, Big Data, Art + Science 2016, Brisbane, Australia, Feburary 18, 2016. [Plenary Talk] Beyond Peta-scale on Stencil and Particle-based GPU Applications, SPPEXA Annual Meeting 2016, Munich, Germany, January 26, 2016. [Invited Plenary Lecture] Large-scale GPU Applications for Scientific Computing, SIAM PP14 (Parallel Processing for Scientific Computing), Portland,Feburary 20, 2013. [Plenary Lecture] GPU Computing and HPC Applications on a GPU-rich Supercomputer, Annual Meeting of TWSIAM (Taiwan Society for Industrial and Applied Mathematics, Providence University (Taichung), Taiwan, June 2nd, 2013. [Invited Talk] Large-scale stencil applications using the whole TSUBAME2.0 resourcesTSUBAME 2.0, PRIB 2012, Tokyo Tech, Japan, November 9, 2012. [Invited Talk] Peta-scale GPU applications on TSUBAME2.0, The Salishan Conference on High-Speed Computing, Gleneden Beach, Oregon, USA, April 25, 2012. [Keynote Lecture] Large-scale Stencil Applications on GPU-rich Supercomputer TSUBAME2.0, The annual IEEE International Conference on High Performance Computing (HiPC 2011), Bangalore, India, December 21, 2011. [Invited Talk] A 2-Petaflops Stencil Application on GPU-rich Supercomputer TSUBAME 2.0, GTC Asia 2011, Beijing, China, December 15, 2011. [Invited Talk] GPU-based operational Weather Model with Horizontal 500m resolution, GTC Asia 2011, Beijing, China, December 15, 2011. [Keynote Lecture] Large-scale CFD applications on GPU-rich supercomputer TSUBAME2.0, Accelerated Computing Workshop at OzViz 2011, Sydney, Australia, November 23, 2011. [Keynote Lecture] A 2-Petaflops Stencil Application on SL390/GPU-based TSUBAME 2.0, HP-CAST 17, Seattle, November 12, 2011. [Keynote Lecture] Large-scale GPU Applications on TSUBAME 2.0 SL390 Platform, HP-CAST Taiwan 2011, Taipei, Taiwan, September 23, 2011. [Invited Lecture] GPU-based operational atmosphere model JMA-ASUCA with horizontal 500m resolution, Computing in Atmospheric Sciences 2011 (CAS2K11), Annecy, France, September 13, 2011. Large-scale CFD Applications and a Full GPU Implementation of a Weather Prediction Code on the TSUBAME Supercomputer, GTC 2010, San Jose, September 2010. [Plenary Lecture] Remarkable Speed-up of CFD Applications by GPU Computing, 13 th International Annual Symposium on Computational Science and Engineering, March 25, 2009, Bangkok, Thailand. [Keynote Lecture] CFD Applications acclerated by full GPU computation, JSME 21th Computational Mechanics Conference, The Japan Society of Mechanical Engineers, Okinawa, Japan, 1st November, 2008. [Keynote Lecture] High-Accurate Numerical Simulation for Flow Phenomena. 3rd International Workshop on New Fronters in Computational Geotechniques, Xian China, October 2006.